RWBY (pronounced "ruby") is an American anime-style web series and media franchise created by Monty Oum for Rooster Teeth. The show is set in the fictional world of Remnant, where young people train to become warriors (called "Huntsmen" and "Huntresses") to protect their world from monsters called Grimm. The name RWBY is derived from the four main characters' forenames: Ruby, Weiss, Blake, and Yang, as well as their associated theme colors; Red, White, Black, and Yellow. Following several promotional trailers, the first episode was screened at the Rooster Teeth convention event RTX and then released on their website in July 2013. Subsequent episodes were released approximately weekly, first to Rooster Teeth's subscribers and then to YouTube a week later. The series became a viral hit, and a second season, subtitled Volume 2, was released in July 2014. During production of Volume 3, on February 1, 2015, Oum died after falling into a coma that was caused by an allergic reaction during a medical procedure. This resulted in a delay in Volume 3's production, as well as an overall shift in the show's production and release schedule. Despite the creator's death, the remaining crew members confirmed their intention to continue the series, and Volume 3 was released in 2015 as planned. Meanwhile, the first two seasons were released to home media and made available on streaming services such as Netflix and Crunchyroll, the latter of which would include releases of the current season in their simulcasts. In October 2016, the fourth season was released. The series has also been dubbed in Japanese and broadcast by Tokyo MX, in partnership with Warner Bros. Japan. Rooster Teeth released a video game called RWBY: Grimm Eclipse, as well as a spin-off series which is called RWBY Chibi, in 2016. The fifth volume premiered on October 14, 2017, and concluded on January 20, 2018. Volume 5 teaser shorts for the characters Weiss Schnee, Blake Belladonna, and Yang Xiao Long were released, as well as a second season of RWBY Chibi. A third season of RWBY Chibi has been released intermittently since the end of volume 5. The sixth volume premiered on October 27, 2018, with a short revolving around the character Adam Taurus being uploaded to the Rooster Teeth website and to YouTube before the mentioned premiere. The story takes place in the world of Remnant, composed of four kingdoms that are plagued by malevolent creatures known as the "Creatures of Grimm". Prior to the events of the series, mankind waged a battle of survival against the Grimm before discovering the power of a mysterious element called Dust which allowed them to fight back against the monsters. In the present day, Dust is used to augment people's abilities with the mysterious Ozpin training some to battle the Grimm as Huntsmen or Huntresses. Ozpin is also the leader of a cabal who have dedicate themselves to guard Remnant's greatest secrets and the Four Maidens, women who can use magic and safeguard the four relics, from evil hands. The series focuses on four girls that enrolled in Beacon Academy in the kingdom of Vale: Ruby Rose, Weiss Schnee from the Atlas kingdom whose family deals in Dust, Blake Belladonna of the half-human Faunus race, and Ruby's half-sister Yang Xiao Long. Together, they form team RWBY ("ruby") and are trained to become Huntresses alongside team JNPR ("juniper"), team CRDL ("cardinal"), and team CFVY ("coffee"), later joined by team SSSN ("sun") from Haven Academy in Mistral along many others. At the time of Team RWBY's formation, numerous Dust thefts are carried out in Vale by local crime lord Roman Torchwick as he and the White Fang, a terrorist organization composed of Faunus which Blake was a member of, were hired by Cinder Fall as part of a scheme to destroy Beacon. The plan comes together during the annual inter-academy Vytal Festival, with Cinder acquiring the power of the Fall Maiden while killing off Ozpin and Team JNPR's Pyrrha Nikos before being defeated by Ruby. In the aftermath of their school's destruction, Team RWBY's members scatter to deal with their personal issues as they eventually reunite at Haven Academy. Joined by Ruby and Yang's uncle Qrow Branwen, the surviving members of Team JNPR, and a boy named Oscar Pine serving as a vessel for their headmaster, Team RWBY learns Ozpin's nature as an reincarnating spirit and of his conflict with Cinder's immortal master, his former lover Salem, who desires the four relics as part of her masterplan. "My vision for the show was to present a two-dimensional, toon-shaded look, but with all of the depth and complexity of a 3D-animated production. I wanted to be able to move the cameras and characters freely while still capturing the essence of the flat, line-drawn look of traditional anime." RWBY had been a long-standing concept of Oum's for years before it began development. Towards the end of his work on the 10th season of Rooster Teeth's Red vs. Blue, he developed the color-coding approach to character names and design as a hook for the series. During production on Red vs. Blue season 10, Oum asked series creator Burnie Burns if they could produce RWBY following the conclusion of that season. Burns, worried for the production schedule, told Oum "If you finish Season 10, then you can do whatever you want." Production on RWBY began as intended, with the first trailer being finished within two weeks and premiering after the credits of the Red vs. Blue season 10 finale on November 5, 2012. Oum designed the characters with assistance from artist Ein Lee, utilizing designs inspired by classic fairy tale characters. Each character has an associated color, and it is the first letters of the main character's colors, red, white, black, and yellow, that give the series its name. The characters' names also share the same letter and the meaning as the colour (e.g. "Weiss Schnee" translates to "snow white" in German). The series was originally written by Oum, along with fellow Rooster Teeth employees Miles Luna and Kerry Shawcross. Oum was initially concerned about a story focusing on female characters being developed by a primarily male crew, but said they managed to do well developing the female characters. Regarding the design, Oum wanted to "present a two-dimensional, toon-shaded look, but with all of the depth and complexity of a 3D-animated production". Seasons 1 to 3 were animated by Rooster Teeth's internal animation team using Smith Micro's Poser software, out of assets built on Autodesk Maya. Starting in Season 4, episodes are now being animated in Maya. 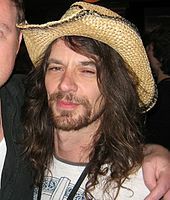 The series' music is composed by Jeff Williams, who previously composed the soundtracks for Seasons 8–10 of Red vs. Blue, and features vocals by Williams' daughter, Casey Lee Williams. A series of four promotional trailers, one for each lead character, were released. They were primarily produced by Oum and assistant animator Shane Newville. Each trailer begins by unveiling one of the four primary characters and then showing a detailed action sequence. The "Red" trailer was shown after the credits for Red vs. Blue's season 10 finale in November 2012. It was followed by the "White" trailer in February 2013. The "Black" trailer was unveiled at a PAX East panel at the end of March and was the first to include voice-acted dialogue. Following the premiere of the "Black" trailer, Oum noted with regret that the first two trailers were shorter and had less character development. The "Yellow" trailer was shown at Rooster Teeth's A-Kon panel on June 1, 2013. Music from the trailers was sold as digital downloads at several online retailers. On July 5, 2013, at the RWBY panel for their RTX 2013 event, Rooster Teeth premiered the first episode of RWBY, and would post the episode to their website on July 18. Following the premiere of RWBY in July 2013, Rooster Teeth posted new episodes for the first season, subtitled Volume 1, streaming weekly on their website, with access two hours early for their sponsors. The new episode would be uploaded to YouTube the next week. On August 16, 2013, streaming site Crunchyroll announced it would simulcast RWBY. Volume 1 ran for 16 episodes, varying in length. Volume 1 concluded in November 2013, and was then released to DVD and Blu-ray. The second season, subtitled Volume 2, was screened at RTX on July 4, 2014, and premiered on July 24. It consisted of 12 episodes, with the final episode released on October 30, after which it was released on DVD and Blu-ray. Volume 3 premiered on October 24, 2015 along with an episode of the RWBY backstory series World of Remnant. For Volume 4, Rooster Teeth producer and co-director Gray G. Haddock said that Miles Luna and Kerry Shawcross were writing for the series. The season debuted on October 22, 2016. In January 2017, a fifth season was announced to be in development, and was released on October 14. On February 1, 2015, Rooster Teeth announced that both volumes of RWBY so far were available for streaming on Netflix. In 2017, Rooster Teeth announced that Rooster Teeth First members would get episodes one week earlier than the general public. On September 15, 2018, Rooster Teeth CEO Matt Hullum announced that RWBY Volume 6 will be released exclusively on the company's website. This decision was made after many of Rooster Teeth's videos on YouTube were demonetized for various reasons. The Blu-ray and DVD releases in Australia were handled by Hanabee Entertainment. The first volume was released in the UK by Animatsu Entertainment on May 4, 2015, on DVD. On August 15, 2014, Rooster Teeth announced that a local Japanese dub was being developed by Warner Bros. Home Entertainment Japan. Hullum declared they would be marketing the show as an anime: "This is the first time any American-made anime has been marketed to Japan. It definitely usually works the other way around, and we're really pleased about that." Warner Bros. has also acquired local merchandising rights as well. Volume 3 was screened in select theaters on December 3, 2016. Volume 4 was released in select theaters for a limited two-week run from October 7 to 20, 2017. To promote this, the show was broadcast on Tokyo MX in July 2017 under the title RWBY 1-3: The Beginning, which featured episodes from volumes 1 to 3 condensed into 12 episodes. Commentators discussing the promotional trailers lauded the show's animation style and its musical soundtrack. The trailers prompted enthusiastic anticipation for the series premiere. When the first episode premiered at RTX, it was popular with attendees to the point that seating was full at all three screenings. Amanda Rush, writing for Crunchyroll, noted the anime and Western influences of the series, and praised it as "quick-witted, exciting, lovely to look at" saying fans of anime would enjoy it. The Yakima Herald-Republic called it "thrilling" and "captivating" and praised its "beautiful" 3D character animation. The Austin Chronicle described the premiere as making Oum the "rock star" of Rooster Teeth. The series has reportedly contributed to a 9% increase in views for Rooster Teeth's official YouTube channel. Kotaku's Richard Eisenbeis praised the series for its clever use of fairytale elements, fun and enjoyable dialogue, and the fighting choreography, but was critical about the short nature of the episodes, stating that, "The biggest drawback in doing a micro-series ... is that there is precious little time for good characterization". He was also critical of the technical issues of the animation, mentioning that the animation is good when the audience is unable to see the character's feet. He believes that RWBY is "a good first step into a world of possibilities." Reaction to Matt Hullum's statement made on August 15, 2014, about RWBY being anime has been mixed. Lindsay Jones said "Funnily enough, we showed our Japanese cohorts RWBY and they started arguing about whether it was anime or not! But seeing the reception from audiences is so surreal, and we never expected it." A Movie Pilot blog listed the RWBY as anime topic among its "flame wars you don't want to be part of". Anime News Network writers Paul Jensen and James Beckett wrote: "We don't have any formal reviews of RWBY here on ANN, but it is kind of cool to see an American production make it to the release encyclopedia." Michael Mauer of The Cornell Daily Sun wrote that the issue was still being debated among the anime community, while Sabrina Pyun of ComicsVerse wrote "The show is known for many things, from its dubious status as an anime to its unique 3D animation style." However, mainstream news articles dated after Hullum's statement and previewing later seasons and the franchise have referred to RWBY as an American anime, including Variety, Collider, iDigitalTimes, Entertainment Weekly, Adweek, and Deadline Hollywood. The music for all volumes of RWBY has been composed primarily by Jeff Williams, with additional composition by Steve Goldshein, Mason Lieberman, and Alex Abraham. Williams was a member of the band Trocadero, who did the music for Rooster Teeth's Red vs. Blue, and eventually composed by himself the music for the three seasons of Red vs. Blue that preceded RWBY. Most of the vocals are provided by Williams' daughter Casey Lee Williams, with some additional vocals by Lamar Hall and Sandy Casey. RWBY's soundtrack features a variety of genres, most notably intense, fast-paced rock music. In an interview with Rooster Teeth, Williams mentioned that he uses his lyrics to foreshadow future events on occasion. In developing the songs, Williams uses the show's script and picks out random words and phrases that he thinks are cool. He would also get advanced knowledge as to the character's development, their background stories and lives. He then picks out the emotions related to the scene, adds tempo, drumbeats, rhythm, and eventually composes the song from there. The official soundtrack for RWBY: Volume 1 was released by Jeff Williams on November 12, 2013. It includes the songs used in the trailers, the intro to the series' episodes, and also the score music to each episode. The soundtrack also contains previously unreleased songs such as "I May Fall" and "Wings". These songs were, however, briefly played at the end of various episodes. Volume 1 reached number one on iTunes and beating out the movie soundtrack to The Hunger Games: Catching Fire. The soundtrack reached number 22 on Billboard's Top Rock Albums charts. The official soundtrack for RWBY: Volume 2 was released on December 2, 2014. The soundtrack reached number 6 on Billboard's Hard Rock Albums. The official soundtrack for RWBY: Volume 3 was released on May 3, 2016. The album reached number 5 on the Billboard's Hard Rock Albums chart, and number 12 on the Top Rock Albums chart. The official soundtrack for RWBY: Volume 4 was released on June 16, 2017. The album reached number 79 on the Billboard 200. It also appeared on the magazine's other album charts, with number 5 on Independent Albums, number 6 on Hard Rock Albums, and number 18 on Top Rock Albums. The official soundtrack for RWBY: Volume 5 was released on June 8, 2018, and on January 1, 2019 for Spotify. It peaked at 113th on the Billboard 200, and also peaked in the Top 20 of the Top Rock (#18) and Hard Rock (#6) charts as well, along with charting at #7 at the Independent Albums chart. For Rooster Teeth's anniversary in 2014, fan Jordan Scott created a video game based on RWBY, titled RWBY: Grimm Eclipse, using the Unity game engine. It was in development for a total of five months. Based on the events in the first trailer, the demo was a "hack 'n slash survival" featuring Ruby facing escalating waves of Grimm attacks. Richard Eisenbeis of Kotaku praised its combo system, which "excellently mirror[ed] its animated counterpart", and its unlockable skills, saying, "you'll feel like an unstoppable badass akin to Ruby in the series." At RTX 2014, Rooster Teeth announced that they had hired Scott, and officially picked up the game. An early demo of the game was available for consumers to play at the event, and the game's title was changed from "Grim Eclipse" to "Grimm Eclipse" to match the spelling of the creatures in the show. Rooster Teeth CEO Matt Hullum stated, "RWBY is a natural choice for us to focus on for our first in-house produced video game. Fans can expect that we will bring the same level of originality in action, comedy and design to the video game that has made the RWBY animated series such a hit." On December 1, 2015 the game was released as an Early Access title on Steam, with the full PC release on July 5, 2016. The game was released for macOS on October 13, 2016, and was later released for Xbox One and PlayStation 4 on January 17, 2017. The game allows one to four of the main characters in any combination(s) to battle through waves of Grimm. They are also on the trail of a mysterious company and its founder. The action takes place in the Emerald Forest, Mountain Glenn, Forever Fall and ultimately to an island named after the antagonist, Doctor Merlot. At the Evo 2017 gaming event, it was announced that an upcoming fighting game called BlazBlue: Cross Tag Battle by Arc System Works would feature cross-over characters from BlazBlue, Persona 4 Arena, Under Night In-Birth, and RWBY. Ruby Rose was a featured participant in the game's first teaser trailer, and Weiss was confirmed in the second character introduction trailer. Arc Systems later announced that Blake and Yang would be available as free downloadable content. NHN Entertainment developed a tower defense mobile game based on the show, RWBY: Amity Arena, which was released for Android and iOS devices in October 2018. The November 2015 issue of Shueisha's Ultra Jump magazine announced that Dogs manga author Shirow Miwa would be illustrating a manga adaptation of RWBY, which debuted on November 19, 2015. The manga would "reveal mysteries of the four trailers". Volume 1 of the manga concluded in February 2017 while featuring a teaser for a follow-up. A new manga series by Bunta Kinami will be adapting Volumes 1 and 2, and is scheduled to serialize in Weekly Shonen Jump magazine in Fall 2018. Additionally, at New York Comic Con 2018, Rooster Teeth announced a partnership with DC Comics to publish RWBY and Gen:Lock comics starting in 2019. RWBY Chibi is a comedic animated spin-off of RWBY compromising 57 three- to six-minute-long episodes in three seasons. It was first announced as part of Rooster Teeth's 13th-anniversary celebration on April 1, 2016, and Episode 1 premiered on May 7, 2016. Its first season concluded on October 15, 2016. Each episode consists of several scenes where aspects of RWBY's characters are usually exaggerated for comic effect. The episodes follow no strict chronological order, nor do they follow the strict canon of the main show. In January 2017, Rooster Teeth confirmed that a second season would launch that May. Rooster Teeth announced a series of young adult novels based on RWBY would be published beginning in 2019. These novels would focus on other characters featured in the series, with the first book, titled After the Fall, to follow Team CFVY as they adjust to life at Shade Academy in Vacuo. Yang appeared as a combatant in the online series Death Battle by ScrewAttack (a division of Rooster Teeth), where she fought Tifa Lockhart from Final Fantasy VII. The series creator, Ben Singer, talked with Oum about including a RWBY character on Death Battle before Oum's passing. ^ "VIZ: RWBY Manga". www.viz.com. Retrieved August 15, 2018. ^ Whitbrook, James. "Some of the Best Titles to Get Your Hands on This Free Comic Book Day". io9. Retrieved August 15, 2018. Also included in the sampler is a backup story set in the world of Rooster Teeth’s anime-inspired science fantasy series RWBY. ^ Whitaker, Richard (May 3, 2016). "DVDanger: RWBY Volume III". The Austin Chronicle. Retrieved August 15, 2018. Every epic fantasy has its dark turn, and the anime-influenced action series RWBY is no exception. ^ "Getting Hyped for RWBY Volume 5!". Crunchyroll. Retrieved August 15, 2018. With the premiere of RWBY Volume 5 dropping on VRV today (it'll be on Crunchyroll next Saturday), I thought it would be a good time to talk about why I’m excited for the return of Rooster Teeth’s delightful action-adventure show. ^ a b Collis, Clark (January 30, 2017). "Rooster Teeth Cofounder Wants to Make 'RWBY' Movie". Entertainment Weekly. Retrieved June 6, 2017. ^ Silverman, Joshua (July 18, 2013). "Review: RWBY Premiere Episode". Geek News Network. Retrieved July 19, 2013. ^ Lazar, Shira (August 7, 2013). "Roosterteeth Adds Anime RWBY To YouTube Slate (WATCH)". The Huffington Post. AOL. Retrieved August 12, 2013. ^ "RWBY Character References and Status". Rooster Teeth. Retrieved February 7, 2018. ^ Hullum, Matt (February 2, 2015). "Monty Oum has passed away". Retrieved February 2, 2015. ^ "Rooster Teeth · The Future of RWBY". Rooster Teeth. ^ Rooster Teeth [@RoosterTeeth] (October 8, 2015). "#RWBY Volume 3 – Saturday, October 24th, at 10 am CT - Roosterteeth.com - Get pumped" (Tweet). Retrieved October 24, 2015 – via Twitter. ^ a b "TOKYO MX to Show "RWBY Volume 1-3: The Beginning"". Crunchyroll. Retrieved April 9, 2017. ^ "RWBY Volume 5, Red Vs Blue Season 15 And More Coming To Rooster Teeth In 2017". iDigitalTimes.com. January 23, 2017. Retrieved February 14, 2017. ^ Spangler, Todd (August 3, 2018). "'RWBY' Volume 6 Premiere Date Set at Rooster Teeth". Variety. Retrieved August 4, 2018. ^ a b c Rush, Amanda (July 12, 2013). "Feature: Inside Rooster Teeth's "RWBY"". Crunchyroll. Retrieved July 18, 2013. ^ a b c Silverman, Joshua (February 19, 2013). "Interview: Monty Oum". Constantly Calibrating. Archived from the original on July 24, 2013. Retrieved June 9, 2013. ^ Webb, Charles (July 9, 2013). "Exclusive: See Rooster Teeth's RTX Panel For Animated Series 'RWBY'". MTV.com. Retrieved July 15, 2013. ^ "The 3D secrets behind hip anime series RBWY". creativebloq.com. Retrieved July 19, 2017. ^ a b Machuga, Stephen (May 27, 2013). "Monty Oum for Rooster Teeth, RWBY: Front Towards Gamer Radio, Episode 172". Front Towards Gamer. Archived from the original on June 9, 2013. Retrieved June 9, 2013. ^ Oum, Monty. "Rooster Theeth Podcast #191". Rooster Teeth. Archived from the original on May 6, 2013. Retrieved February 16, 2015. ^ a b c d Parbhu, Sanjay (June 4, 2013). "Rooster Teeth Releases RWBY Yellow Trailer". Capsule Computers. Retrieved June 9, 2013. ^ "Smith Micro's Poser Software Empowers Rooster Teeth Productions' Upcoming "RWBY" Web Series". Yahoo Finance. Yahoo. July 3, 2013. ^ "The 3D secrets behind hip anime series RBWY". 3D World. September 16, 2013. ^ a b c d Neafsey, Paul (March 30, 2013). "RWBY from Rooster Teeth: PAX East 2013". Front Towards Gamer. Archived from the original on April 4, 2013. Retrieved June 9, 2013. ^ Yamada, Yuusuke (June 6, 2013). "死ぬほどかっこいい謎のアニメーションプロジェクト『RWBY』シリーズ最終トレーラーが公開！". Kotaku. Retrieved June 9, 2013. ^ a b Gutelle, Sam (February 19, 2013). "Rooster Teeth's Anime-Inspired 'RWBY' Is Colorful And Action-Packed". Tubefilter. Retrieved June 9, 2013. ^ "《RWBY》公開最新宣傳影片「Yellow」最終主要角色亮相". GNN. June 2, 2013. Retrieved June 9, 2013. ^ Green, Scott (June 2, 2013). "VIDEO Preview for Rooster Teeth's Anime Style "RWBY" Hits Yellow". Crunchyroll. Retrieved June 9, 2013. ^ "Rooster Teeth Podcast #227". YouTube. Rooster Teeth Productions. July 15, 2013. Retrieved July 29, 2013. ^ "Crunchyroll to Stream "RWBY"". Crunchyroll. August 16, 2013. Retrieved August 16, 2013. ^ "Japan Expo USA 2013 - Crunchyroll". animenewsnetwork.com. Retrieved June 6, 2017. ^ "RWBY Pre-Show Live Stream". YouTube. Rooster Teeth. July 18, 2013. Retrieved September 8, 2013. ^ Monty Oum [@montyoum] (January 30, 2014). "RWBY Vol 2 will premeire [sic] at RTX July 4–6 this year! Thank you all for your support and contributions. <3 Monty fb.me/UO2W4Xyx" (Tweet). Retrieved January 30, 2014 – via Twitter. ^ RWBY: Volume 3, World of Remnant 1. RoosterTeeth. October 9, 2015. ^ "RT13 Hype -- RT Animation 4/1 Announcments!". Retrieved March 14, 2017. ^ a b "'RWBY' Volume 5 Coming to Rooster Teeth in 2017". Variety.com. January 23, 2017. Retrieved January 27, 2017. ^ Rooster Teeth [@RoosterTeeth] (February 1, 2015). "#RWBY is now on Netflix. Give it a watch if you haven't yet- or watch it again!" (Tweet). Retrieved February 9, 2015 – via Twitter. ^ "matt's Post". Rooster Teeth. Retrieved April 18, 2018. ^ Hullum, Matt (September 15, 2018). "RWBY Volume 6 on Rooster Teeth". Rooster Teeth. Retrieved September 15, 2018. ^ Halliday, Luke (August 10, 2013). "Hanabee's SMASH 2013 Announcements". Capsule Computers. Retrieved August 15, 2014. ^ "RWBY: Volume 1 [DVD]". amazon.co.uk. Retrieved April 2, 2015. This title will be released on May 4, 2015. ^ "American-Made Anime From Rooster Teeth Gets Licensed In Japan". adweek.com. Retrieved June 6, 2017. ^ Castillo, Michelle (August 15, 2014). "American-Made Anime From Rooster Teeth Gets Licensed In Japan". Adweek. Retrieved August 15, 2014. ^ "「RWBY Volume 3＜日本語吹替版＞」 公開初日舞台挨拶実施決定！！". Warner Bros. Japan. November 22, 2016. Retrieved December 10, 2017. ^ RWBY Japan Official [@RWBY_JAPAN] (December 3, 2016). "本日からRWBY Volume 3<日本語吹替版>が新宿ピカデリー、シネ・リーブル池袋、109シネマズ川崎、109シネマズ名古屋、なんばパークスシネマ、ユナイテッド・シネマ キャナルシティ13にて公開！" (Tweet) (in Japanese). Retrieved December 10, 2017 – via Twitter. ^ 島中一郎 (October 8, 2017). "『RWBY VOLUME 4＜日本語吹替版＞』（ルビー）公開初日舞台挨拶をレポート！　早見沙織さん、下野紘さん、洲崎綾さん、斉藤壮馬さんが登壇". Animate. Retrieved December 10, 2017. ^ "RWBY 1-3 The Beginning Top -３DCGアニメ『RWBY』公式サイト-". Warner Bros. Japan. Retrieved October 28, 2017. ^ "夏アニメ『RWBY Volume 1-3：The Beginning』サンテレビ・AbemaTVでも放送決定！　最新放送情報を公開". Animate. June 14, 2017. Retrieved December 10, 2017. ^ Bosch, Ellie (May 11, 2014). "'RWBY' a gem of a show". Retrieved May 11, 2014. ^ Solomon, Dan (July 19, 2013). "The Full Monty". Austin Chronicle. Retrieved July 18, 2013. ^ Cohen, Joshua (August 16, 2013). "Top 50 Most Viewed U.S. YouTube Channels • Week Of 8/16/13". Tubefilter. Retrieved August 16, 2013. ^ "The Beauty of RWBY's Fight Scenes Will Make Your Jaw Drop • Week of 11/22/13". November 22, 2013. ^ Anson, Jessica (November 1, 2016). "RWBY Press Interview @ MCM London Comic Con". MyMBuzz. Retrieved June 6, 2017. ^ "Flame Wars You Don't Want To Be a Part Of!". Movie Pilot. March 27, 2015. Retrieved June 6, 2017. ^ Jensen, Paul; Beckett, James (May 2, 2016). "Shelf Life - Eden of the East". Anime News Network. Retrieved June 6, 2017. ^ Mauer, Michael (March 21, 2016). "Manga Monday - RWBY, Guns and Important Questions". The Cornell Daily Sun. Retrieved June 6, 2017. ^ Pyun, Sabrina (February 28, 2017). "Fairy Tales, Folk Tales, Mythology, Oh My! Is the Symbolism in RWBY Overkill? - ComicsVerse". ComicsVerse. Retrieved June 6, 2017. ^ "Digital Anime Series 'RWBY' Volume 5 to Get Theatrical Premiere". Variety. Retrieved September 17, 2017. ^ Trumbore, Dave (January 28, 2017). "This Week in Animation News: 'Steven Universe' and 'Adventure Time' Return!". Collider. Retrieved June 6, 2017. ^ Martinez, Phillip (January 20, 2017). "'RWBY: Grimm Eclipse' Review: High-Energy Action For A Low Price". iDigitalTimes. Retrieved June 6, 2017. ^ Main, Sami (March 2, 2017). "Rooster Teeth's Appeal Is Transcending the Stereotypical Video Gamer to Reach a Mass Audience". Adweek. Retrieved June 6, 2017. ^ Busch, Anita (March 16, 2016). "Rooster Teeth Readying Theatrical Releases Of Multi-Volume Anime Project 'RWBY'". Deadline Hollywood. Retrieved June 6, 2017. ^ "2014 IAWTV Awards Nominees and Winners". International Academy of Web Television. Retrieved August 16, 2014. ^ a b Bloom, David. "Streamy Award Round 1 Winners: 'Epic Rap Battles Of History,' 'RWBY,' Fallon, Seinfeld". Deadline Hollywood. Retrieved September 7, 2014. ^ "5th Annual Nominees". Streamy Awards. Retrieved January 19, 2018. ^ "6th Annual Nominees". Streamy Awards. Retrieved January 19, 2018. ^ "7th Annual Nominees". Streamy Awards. Retrieved January 18, 2018. ^ Austin, Charles (May 4, 2016). "RWBY Composer Jeff Williams on His Creative Process". Rooster Teeth. Retrieved January 31, 2018. ^ "RWBY Volume 1 Soundtrack in iTunes" (Digital music download). iTunes. Jeff Williams. November 12, 2013. Retrieved November 13, 2013. ^ "Sorry 'Hunger Games', Rooster Teeth's 'RWBY' Is #1 On iTunes". tubefilter.com. November 15, 2013. Retrieved October 29, 2017. ^ "Rock Albums". billboard.com. Retrieved October 29, 2017. ^ "Hard Rock Music: Top Hard Rock Albums". billboard.com. Retrieved October 29, 2017. ^ "Billboard Top 200 Album Sales This Week (June 29, 2017) - Daily Postal". dailypostal.com. June 29, 2017. Retrieved October 29, 2017. ^ "Independent Albums". billboard.com. Retrieved October 29, 2017. ^ "Jeff Williams RWBY, Volume 5 (Soundtrack) Chart History". Billboard. Retrieved November 11, 2018. ^ Monger, James Christopher. "Jeff Williams Biography". Allmusic. Retrieved November 11, 2018. ^ Scott, Jordan (April 1, 2014). "RWBY: Grim Eclipse – Demo Release Trailer". YouTube. Retrieved July 9, 2014. ^ Eisenbeis, Richard. "Fighting in This RWBY Fan Game Feels Just Like the Series". www.Kotaku.com. Kotaku. Retrieved August 26, 2014. ^ Rush, Amanda. "Rooster Teeth Making "RWBY" Video Game". Crunchyroll.com. Crunchy Roll. Retrieved July 5, 2014. ^ Cohen, Joshua. "Rooster Teeth Is Developing A Video Game". Tubefilter.com. TubeFilter. Retrieved July 5, 2014. ^ "RWBY: Grimm Eclipse - Steam Early Access". RoosterTeeth.com. Rooster Teeth. Retrieved December 3, 2015. ^ Good, Owen S. (July 16, 2017). "BlazBlue Cross Tag Battle announced at Evo 2017". Polygon. Retrieved July 19, 2017. ^ Reilly, Luke (July 16, 2017). "BlazBlue Cross Tag Battle Announced". ign.com. Retrieved July 19, 2017. ^ "BlazBlue Cross Tag Battle Character Introduction Trailer #2". YouTube. Arc System Works. October 15, 2017. ^ Inc., Aetas. "「Blazblue Cross Tag Battle」の発売日が2018年5月31日に決定。新プレイアブルキャラクター"ブレイク・ベラドンナ"の発表も". 4gamer.net. Retrieved January 31, 2018. ^ "BlazBlue: Cross Tag Battle Will Add RWBY's Blake Belladonna And Yang Xiao Long As Free DLC Characters - Siliconera". siliconera.com. February 7, 2018. Retrieved February 7, 2018. ^ "RWBY: Amity Arena is OUT NOW on Google Play and iTunes!" (Press release). October 25, 2018. Retrieved December 26, 2018. ^ "Dogs: Prelude's Shirow Miwa to Draw RWBY Manga". Anime News Network. October 17, 2015. Retrieved October 24, 2015. ^ "Shirow Miwa Ends RWBY Manga, Works Toward Resuming Dogs". Anime News Network. February 12, 2017. Retrieved April 20, 2017. ^ "RWBY Announcement!". Rooster Teeth. April 1, 2016. Retrieved April 6, 2016. ^ "Death Battle! : Yang VS Tifa". Rooster Teeth. Retrieved July 19, 2017. ^ Ben B. Singer [@benbsinger] (October 7, 2015). "Before his passing, Monty & I talked about collaborating on a #DEATHBATTLE with #RWBY. I'm glad it's finally happening! Thanks @montyoum! :)" (Tweet) – via Twitter. Wikimedia Commons has media related to RWBY.